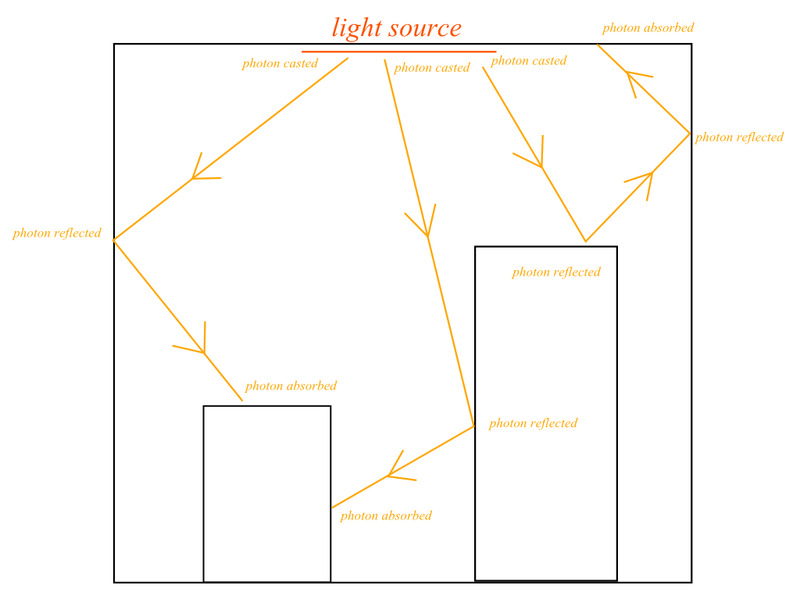 Continue with previous post, this post will describe how light map is calculated from the photon map. 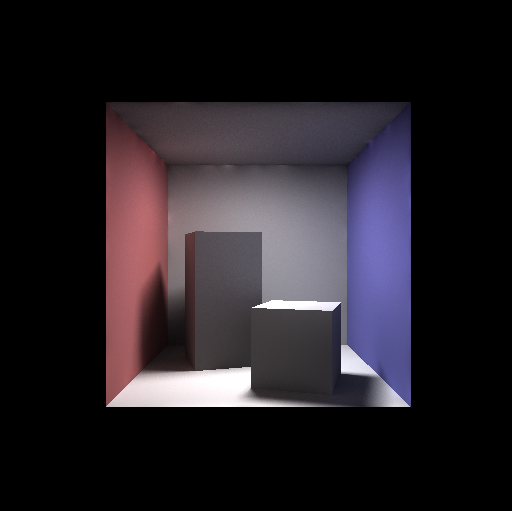 My light map stores incoming radiance of indirect lighting on a surface which are projected into Spherical Harmonics(SH) basis. 4 SH coefficients is used for each color channels. 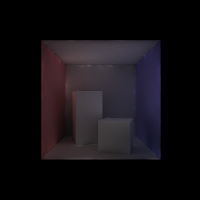 So 3 textures are used for RGB channels (total 12 coefficients). 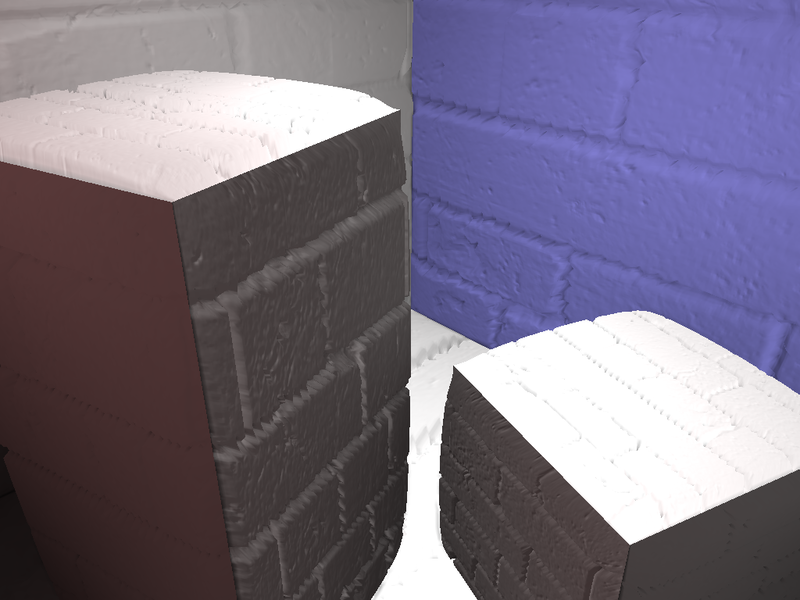 To bake the light map, the scene must have a set of unique, non-overlapping texture coordinates(UV) that correspond to a unique world space position so that the incoming radiance at a world position can be represented. 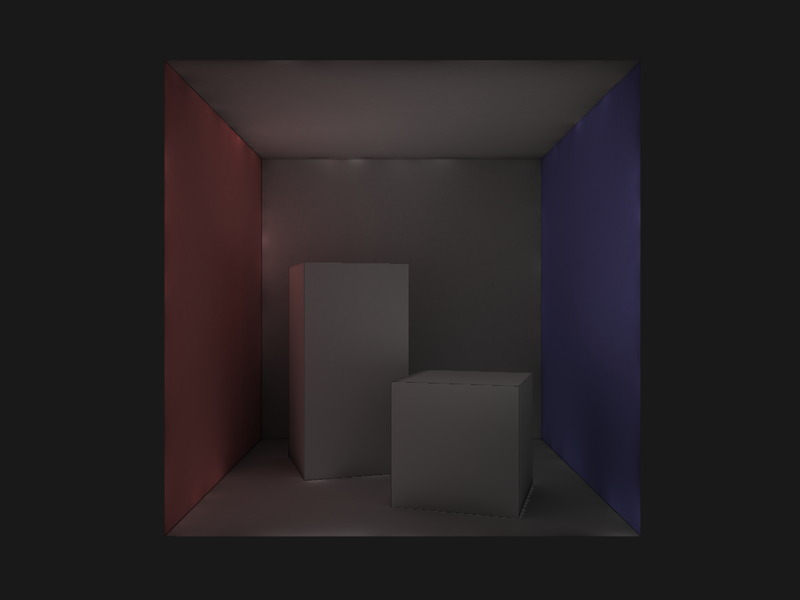 This set of UV can be generated inside modeling package or using UVAtlas. 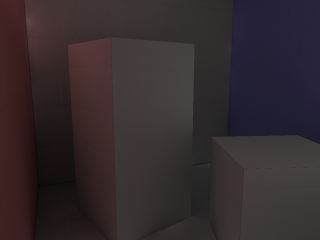 In my simple case, this UV is mapped manually. 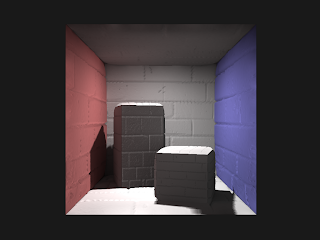 After baking the light map, during run-time, the direct lighting is rendering with usual way, a point light is used to approximated the area light in the ray traced version, the difference is more noticeable at the shadow edges. As we store the light map in SH, we can apply normal map to the mesh to change the reflected radiance. This post gives an overview on how to bake light map of indirect lighting data by sampling from the photon map. I use SH to store the incoming radiance, but other data can be stored such as storing the reflected diffuse radiance of the surface, which can reduce texture storage and doesn't require floating point texture. Besides, the SH coefficients can be store per vertex in the static mesh instead of light map. Lastly, by sampling the photon map with final gather rays, light probe for dynamic objects can also be baked using similar methods. In this generation of computer graphics, global illumination (GI) is an important technique which calculate indirect lighting within a scene. Photon mapping is one of the GI technique using particle tracing to compute images in offline rendering. Photon mapping is an easy to implement technique, so I choose to learn it and my target is to bake light map storing indirect diffuse lighting information using the photon map. Photon mapping consists of 2 passes: photon map pass and render pass, which will be described below. In this pass, photons will be casted into the scene from the position of light source. Each photon store packet of energy. 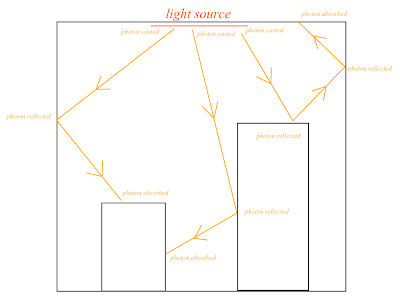 When photon hits a surface of the scene, the photon will either be reflected (either diffusely or specularly), transmitted or absorbed, which is determined by Russian roulette. 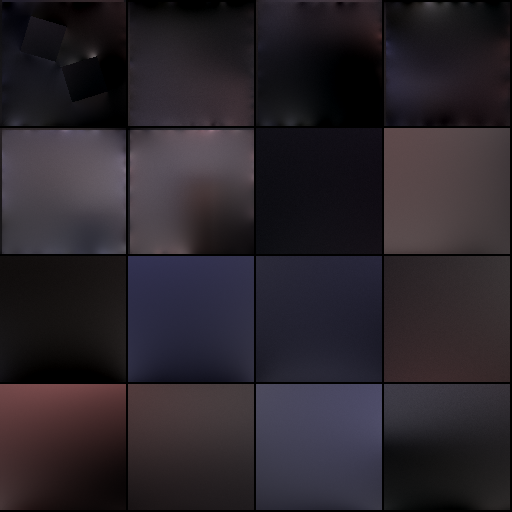 This hit event represents the incoming energy of that surface and will be stored in a k-d tree (known as photon map) for looking up in the render pass. 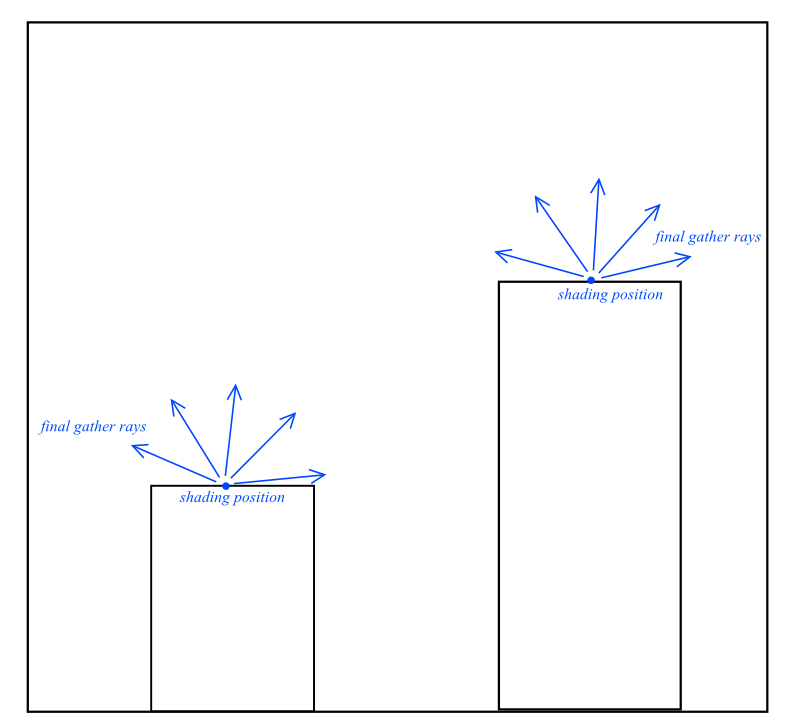 Each hit event would store the photon energy, the incoming direction and the hit position. And the photon will continue to trace in the newly reflected direction. In render pass, the direct and indirect lighting is computed separately. The direction lighting is computed using ray tracing. To tackle this problem, either increase the number of photon to a very high number, or we can perform a final gather step. In the final gather step, we shoot a number of final gather rays from the pixel that we are shading in random direction over the hemisphere of the shading point. In this post, the steps to implement photon map is briefly described. 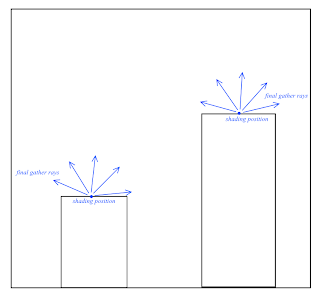 It is a 2 passes approach with the photon map pass building a photon map as kd-tree representing the indirect lighting data and the render pass use the photon map to compute the final image. In next part, I will describe how to make use of the photon map to bake light map for real time application.